Sports Jacket vs. Suit Jacket: What’s the Difference? Why the confusion between Sport Jacket and Suit Jackets? The confusion between sport jackets and suit jackets is a more modern problem. Fifty years ago most men wore and understood the rules of wearing a suit, and a sport jacket was just that – a jacket for sport worn when the season and situation warranted a suit inappropriate. 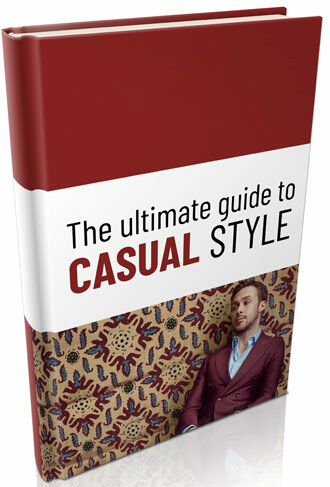 Today with so few of us wearing a suit daily and even less of us having been explained the guidelines of menswear – many men find themselves wondering, just what is the difference and why can’t they be interchangeable? Give me 5 minutes, and I’ll show you the light my friend. While the suit jacket is governed by the conservative specifications of the suit, the sports jacket knows no such bounds. Its similar cut still flatters the body and frames the face, but its independence invites a broad range of outfits for myriad situations. The odd jacket–a term for any jacket that’s not part of a suit, generally a blazer jacket or sport coat–originated as leisure wear and remains as such, while today’s loosened standards of professional attire now make it also the garment of choice for many who would have worn suits twenty years ago. The suit jacket has evolved over several centuries into a garment that looks great on any man. Depending on its cut, it may add weight to the body or subtract it; it may elongate the frame or compress it. The triangle formed by the lapels draws the eye towards the head, while leaving room for something more colorful to cast the face in its best light. Besides the traditional suit-and-tie regiment, a suit of solid color has few other possibilities. Worn without a tie it makes a great outfit for New Years Eve, but looks awkward at the office. The coat can be worn with dress slacks of a different color, with or without a tie, but this requires some care. If executed poorly–and this is purely aesthetic–a suit jacket without its matching pants looks incongruous and sloppy. Additionally, when you dry clean a suit jacket or wear it in the sun while its matching pants hang in your closet, you run the risk that the fabrics will fade differently and the suit will cease to match. A dark suit jacket over sneakers, t-shirt and jeans is de rigeur in the entertainment business, but like pyrotechnics and car chases this one is best left to the professionals. Solids aside, such patterns as chalk stripe and windowpane are called suit fabrics for a reason; leave them to do what they do best. On the other hand, the outfits possible with an odd jacket run the gamut of formality and monopolize its vast middle ground. Consider the navy blue classic with brass buttons. Worn with gray slacks, black shoes, a white button-down shirt and a classy tie, it holds its own in a room full of suits. Throw in a pocket square to complete the ensemble and you’re dressed better than half of the more conservatively clad men. Lose the tie and slip into your khakis, and you have a sharp outfit that can go anywhere without drawing attention to itself. Toss an odd jacket on over your chinos and polo shirt, and you look classy but not dressed up. The possibilities are endless; the only caveat here is to avoid pants too close in color to the coat itself. Without the constraints implied by matching trousers, odd jacket fabrics range from the staid navy wool to camel hair, madras, corduroy and plaid. These may be finished with low-key horn or plastic buttons, or they may fasten with brass or nickel. Besides the slit and flap pockets common to suits, sporty patch pockets are an option here. When there’s no tie in the picture, it falls to the jacket to finish the outfit; interesting fabrics and contrasting hardware help it rise to the occasion. Thanks to its history as sportswear, the odd jacket is generally looser fitting than a suit coat to allow for ease of movement. Although the suit has been put on a pedestal that makes it impractical for many men on many days, the odd jacket carries its aesthetic heritage over to a garment for the masses. Both jackets have their place in a man’s wardrobe, and each should be worn in the situation that best suits their nature.